This Army unit was formed on 6th March 1915. The 58th Division was formed in 1915. The 116th Infantry Brigade was previously the 48th Infantry Brigade from the 24th Infantry Division. The 120th Infantry Regiment was replaced by the 103rd (Royal Saxon) Reserve Infantry Regiment. This Army unit was formed in October 1914. The 39th Bavarian Reserve Division was formed on 8th December 1914 from the Rekowski Brigade. It was origionally designated the 39th Reserve Division, but quickly renamed due to its composition. This Army unit was formed in August 1914. It was origionally the garrison of Strasbourg. It spent the entire war on the western front. This Army unit was formed on 10th March 1915. The 50th Division was formed in 1915. The 52nd Division was formed in 1915. The 66th (3rd Magdaburg) Infantry Regiment was replaced by the 111th (Baden) Margrave Ludwig Wilhelm Infantry Regiment on 6th April 1917. This Army Militia unit was formed on 13th September 1917. The 48th Landwehr Division was formed in 1917. This Army Militia unit was formed on 7th June 1916. The 47th Landwehr Division was formed in 1916. Part of XII Royal Saxon Reserve Corps. The Division fought on the Western and Eastern fronts. This Army Militia unit was formed on 15th February 1917. The 46th Landwehr Division was formed in 1917. 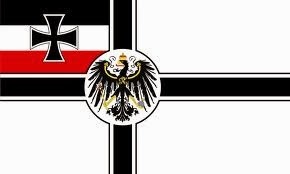 The 45th Landwehr Division was formed in 1917. This Army Replacement unit was formed on 2nd August 1914. The Guards Ersatz Division was formed in 1914. 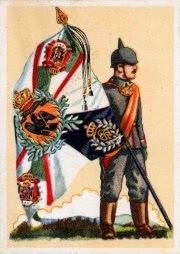 The Bavarian Ersatz Division was formed in 1914. This Army Militia unit was formed on 15th April 1917. The 44th Landwehr Division was formed in 1917. The Regiment was formed in 1868 as the 93rd Anhalt Landwehr Regiment. The 38th Landwehr Division was formed in 1917 as an expansion of the 38th Landwehr Brigade. This Army Militia unit was formed in November 1917. The 29th Landwehr Division was formed in 1917 from the expansion of the 29th Landwehr Brigade. It served on the Western and Eastern fronts.